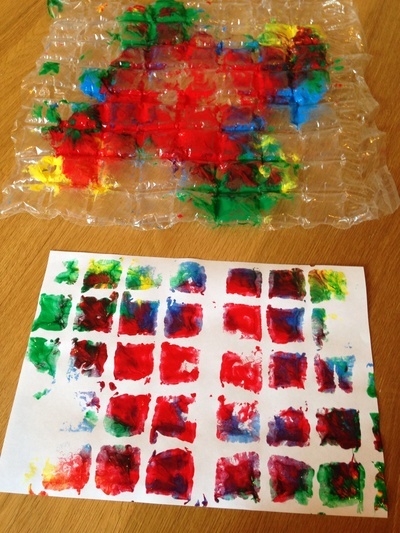 Re-use some bubble wrap packaging to make some fun prints with little ones. 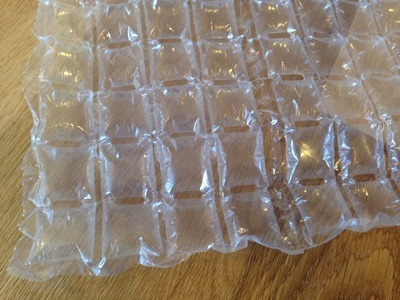 My son loved pressing the paint with his hands on the squashy surface of the bubble wrap. 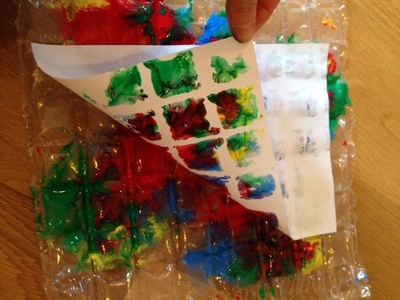 You could your prints to make some fun wrapping paper. 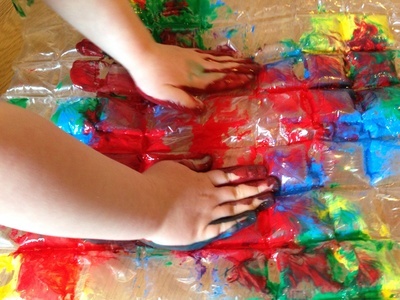 Squirt paint onto the bubble wrap and spread around with hands or brushes. 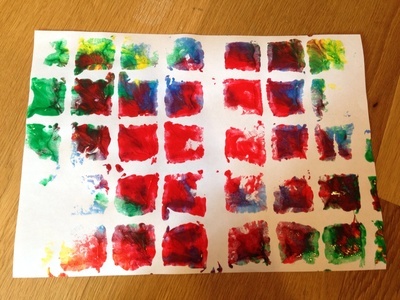 Press a plain piece of paper onto the paint. 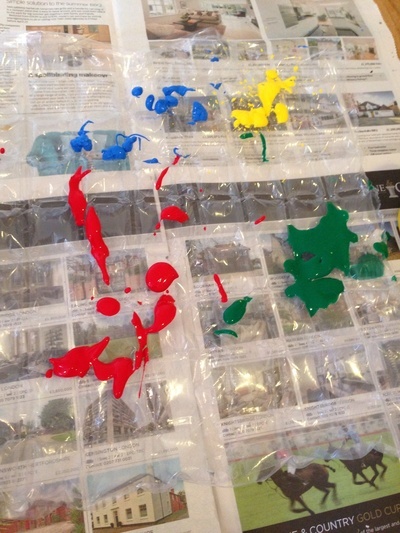 Lift up to reveal your print. 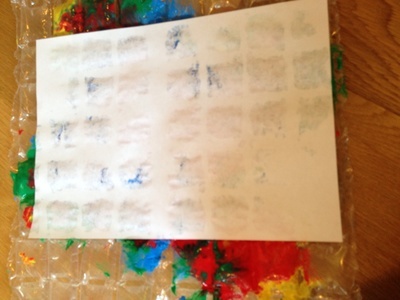 Our square bubbles made some fun geometric prints.